There are a number of criminal cases that ultimately end up on the shelves unattended for years merely due to lack of evidence and the criminals roam free without baring the proper consequences of their actions. The crime scene can be a complicated puzzle with so many potential leads, which are overlooked simply due to inadequate processing of the evidence. It is due to this inefficient evidence processing that some of the criminal cases remain unresolved. There are a number of implications to the cases remaining unresolved, and one of the major implications is the non-recovery of the insurance claim. Some insurance companies require the case to be resolved before the insurance claim is processed, and in case of a cold case, the insurance claim is also left unattended. As unfortunate this fact is, it can be avoided to a significant extent. The evidence present at the crime scene can play a vital role in leading towards the criminal, therefore, it should be treated very carefully. The evidence containing individual characteristics can be known as having originated from a specific source or a person, and that directs towards that source or a person. The examples of evidence containing individual characteristics are; fingerprints, footprints, striation marks on a fired bullet, DNA profile obtained from a bloodstain, nails, scratches etc. There are three major steps involved in evidence processing, i.e. analyzing physical evidence, obtaining expert testimony, and proper collection and preservation of physical evidence. The first step is the proper analysis of the evidence obtained while the evidence is at the crime scene. This provides the expert with an opportunity to run a simulation of the crime. The way things are placed around the crime scene can provide sufficient lead to solve the case. The second step is providing or obtaining an expert testimony. There are different experts in case of different physical evidences. If the evidence includes organic or inorganic matter, the testimony can be obtained from experts who hold expertise in that field. If the evidence includes fingerprints or footprints, the relevant expert should be consulted. The final step may be the most important step; the proper collection of evidence. There is a high level of risk for the evidence getting contaminated from external factors, so it should be ensured that the evidence is collected exactly in the condition in which it was found at the crime scene. If several glass objects are found broken, packaging the glass fragments obtained separately. Thoroughly checking the subject for glass particles and wrapping the articles containing glass in clean paper or plastic bags. Using a vial to package the glass fragments. Packaging known glass fragments and questioned fragments separately. Sealing and labeling the container with identifying information about the physical evidence obtained, such as the location where the fragments were found and the data of submission. At times, the physical evidence can be of such a nature that it cannot be examined easily. For example, an item may look like a certain material, but in reality, it is something completely different. Therefore, there are two major methods of examination of physical evidence; physical identification of the evidence and comparison of the evidence. In a criminal case with not enough leads, physical evidence is the only factor that holds the potential to lead the investigators to the individuals responsible for the crime. The solution of a criminal case is important for the processing of insurance claims, as well. Individuals with level term life insurance buy the policy to ensure that their dependents are provided with financial support, and in case of cold cases, that financial support is left out. In order to ensure that the insurance claims are provided to those who deserve them, criminal cases must be solved, and physical evidence must be processed properly. 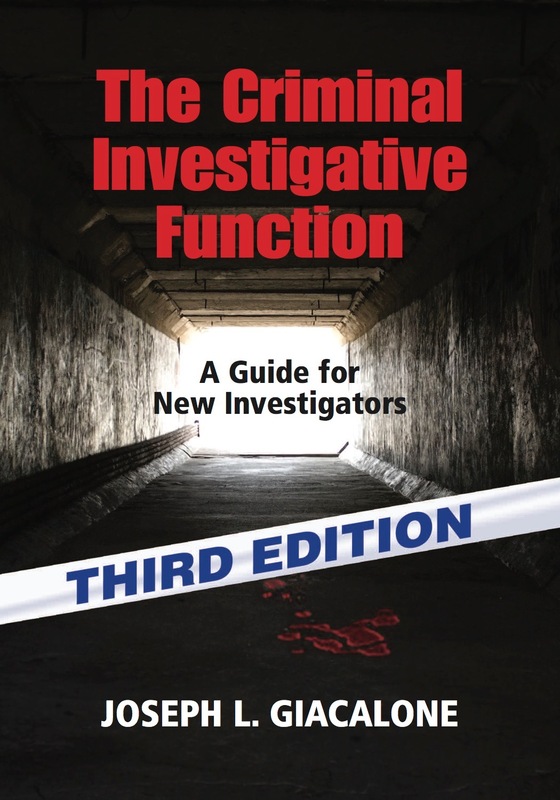 A Bestseller for Investigators, Reporters and Mystery Writers now in it's 3rd Edition! Who Murdered Dana Lenell Stidham? All data and information provided on this site is for informational purposes only. The Cold Case Squad Blog makes no representations as to accuracy, completeness, currentness, suitability, or validity of any information on this site & will not be liable for any errors, omissions, or delays in this information or any losses, injuries, or damages arising from its display or use. All information is provided on an as-is basis. 2010-2012 M.J. Security Consulting, LLC. Awesome Inc. theme. Powered by Blogger.